The explanation is not particularly trustworthy, though hardly improbable. Yet Walter W. Skeat and a few other people believed that Harwich is a folk etymological variant of harriage, a noun derived from harry, like marriage and carriage, which are derived from the verbs marry and carry. Indeed, harriage is a well-attested legal term meaning “service done by the tenant with his beast of burden.” But the phrase at harriage never existed, so that Skeat’s idea may be the product of his own scholarly folk etymology. We are up at Harwich, though not in the literal sense of the idiom. In the south of Ireland, people used to go to Skellig to do penance. On the day before Lent, a season in which no marriages are made in the Catholic Church, crowds of unmarried people of both sexes went to Skellig in pairs. There they were supposed to do penance for forty days. Centuries ago, in Skellig, devout monks allegedly used “to enjoy a sharper amount of maceration and general discomfort during Lent.” Hence the proverb to go to do penance at Skellig. Today, Skellig Michael is a tourist attraction, but, if going to Canossa could become proverbial, why not going to Skellig? In one of the previous posts, I noted that, when one hears go to…, only bad things can be expected. The origin of many such phrases has never been found. About a hundred year ago, people in England used the idiom to go to Warwick “to quarrel.” Perhaps some still do. Was it a joke with reference to the word war? Such cheap puns exist in almost every European language. I would very much like to repeat my question to the readers: if the exotic phrases you have encountered in the recent posts are still used or at least remembered where you live, please send us your comments. Send to Coventry, go to Bath, and go to Jericho have universal currency, but some others were probably very little known even in the nineteenth century (my sources rather seldom go beyond the 1850s). Have they survived? In Worcestershire, they used to say to go up Johnson’s end “to become very poor.” Who was the destitute Mr. Johnson, or is Johnston’s End a place name, and is the phrase still alive? Sometimes the origin of an idiom is mysterious, even though the form is transparent. Why do some people go to the dogs? Even to go to pot may be less obvious than it seems, but occasionally this or that expression has been traced to its sources with a measure of success. 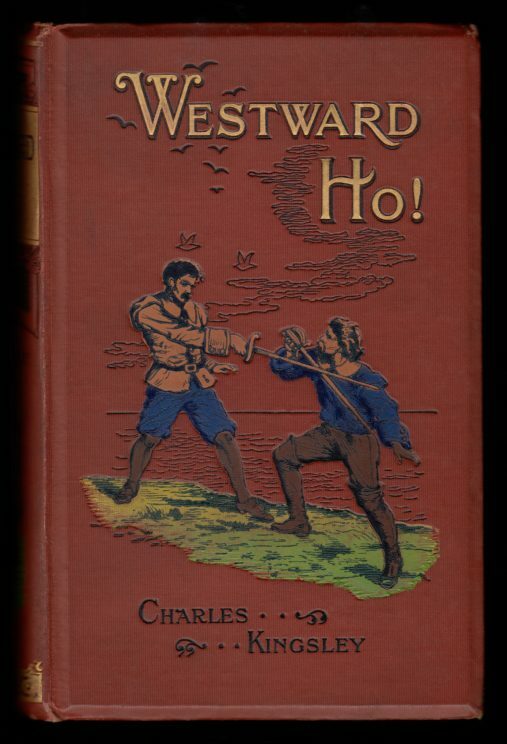 This, I believe, can be said about the phrase to go west “to die.” It already occurred in the sixteenth century (sometimes in the form to go westwards), but surfaced with a vengeance during the First World War and was often discussed then and in the early 1920s. All the explanations I have found on the Internet and a few more were suggested long, and even very long, ago. Tyborn. Going west. 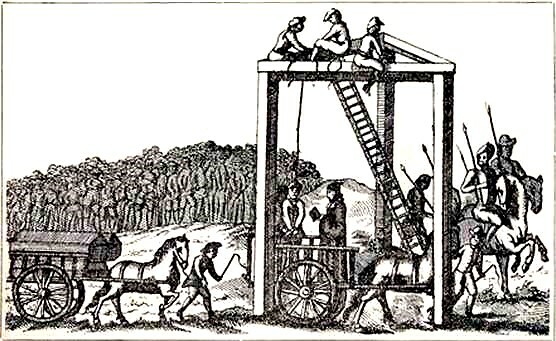 Image credit: Tyburn tree by The National Archives (United Kingdom). Public Domain via Wikimedia Commons. Image credit: Charles Kingley – 1899 Westward Ho! cover 2 by Walter Sydney Stacey (1846-1929). Public Domain via Wikimedia Commons. Here they are: 1) The phrase may have come from the idea that the Fortunate Isles or Islands of the Blest, where the souls of the good attain happiness, are situated in the western ocean; 2) the phrase was popularized by the Irish: “The western Irish attach a sinister meaning to west”; 3) gone west was a common expression in Canada some years ago [written in 1918], and probably originated from the fact that the Far West was almost an unknown country, into which if a man ventured, he was considered as lost to his friends”; 4) to Elizabethan writers the phrase meant “ to be hanged,” with reference to the way from the City of London westwards, to Tyburn (or Tiburn), a place of public executions; 5) The reference is to the westering sun. 6) An extract from a Buddhist tract published in the reign of Kien lung [= Quianlong, Chien-lung], about 1748, runs as follows: “in the dynasty Sung [A.D. 960 to 1280]… a certain blacksmith… while in good health… called a neighbor to write the following verse for him ‘Ting Ting Tang Tang, / The iron oft refined, becomes steel at length,/ Peace is near, I am bound to the west.” After uttering these words, he died on the spot. The author of the note asks whether the phrase gone west traveled to Europe via America after having been found by an American missionary in China. 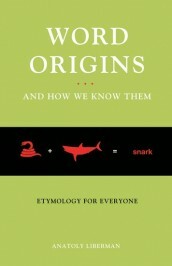 (The idea, as I understand it, is: Did the phrase originate in China?). Some of those conjectures are obviously at odds with chronology, to use James A. H. Murray’s favorite turn of speech. One can risk the tentative conclusion that gone west has been coined more than once by people in different parts of the world, for the sun sets in the west and is seen no more. The other associations are secondary. Perhaps the original English form of the idiom was to go westwards. When the idiom resurfaced during the First World War, it was reborn as slang (this is quite obvious from its use in Galsworthy’s 1922 novel The White Monkey, Part 4 of the Forsyte Saga), but it seems to have been crude slang in the Elizabethan days as well. Laughing at death has ancient roots. Yet I’d rather not finish our journey on such a macabre note and quote another old letter to ta periodical: “When a Huntingdonshire [a district of Cambridgeshire] man is asked if he has ever been to Old Weston, and replies in the negative, he is invariably told: ‘You must go before you die’. Old Weston is an out-of-the way village in the county, and until within a few years [written in 1851] was almost inapproachable by carriages in winter; but in what the point of the remark is, I do not know.” Isn’t this question a pun on the phrase to go west (that is, “Old man, go to Old Weston, before you go west”)? However, none of it matters, because nowadays things tend to go south, at least in American English. Some journalists love this idiom. Featured image credit: Harwich England by Eva Kröcher (Eva K.). England City Coast Harwich Sea. CC BY-SA 2.5 via Wikimedia Commons.